Africentric Personal Development Shop, Inc. is a dynamic workplace with opportunities for personal growth and career advancement. Our dedicated, experienced and energetic team is committed to providing excellent client service and support, substance abuse treatment and domestic violence intervention education. Our staff continues to enhance the efficiency of our operations. Over the last year we have instituted several technological improvements allowing APDS to transition to a leaner management structure and shift more resources into direct service where we value input from our team and volunteers. We place strong emphasis on providing a supportive yet challenging work environment. Jerry Saunders, Sr., Chief Executive Officer of Africentric Personal Development Shop, Inc. (APDS) which is a behavioral healthcare center specializing in Cognitive Behavioral Therapy (CBT) and education classes to prevent, treat, and eliminate substance abuse and domestic violence. In addition, APDS provides community outreach which includes male and female support groups and a 9-week SMART 2.0 Summer Enrichment Program for youth ages 6 to 13. APDS has a staff of 23 including 10 seasonal employees. APDS is certified by Ohio Department of Mental Health and Addiction Services (OhioMHAS). Jerry is managing partner of The Saunders Company, a public relations company. Jerry serves on the board of trustees for Creative Housing and the board of directors for Women’s Center for Economic Opportunity. Jerry has more than 35 years of personal and community development experience. Saunders has an extensive history of serving on governing boards of public entities and 501(C)3 non-profit community development organizations. 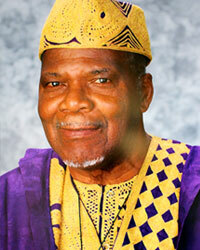 Baba Kelsey co-founded APDS in 1988 along with his wife Dr. Barbara Kelsey. 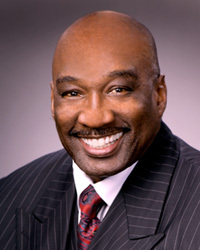 Dr. Kelsey served as Executive Director of APDS from 1988 to 1997. Dr. Kelsey’s extensive education includes a Doctorate of Philosophy (Counselor Education, Adult Education and Vocational Education) from The Ohio State University; Master Degree in Education (Counseling and Adult Education) from Kent State University; and a Bachelor of Science (Elementary Education) from Tuskegee University. Dr. Kelsey is a Licensed Psychologist and Clinical Counselor, a certified Rites of Passage Trainer and a certificated K – 12 Teacher and Guidance Counselor. Dr. Moriba C. Kelsey brings years of experience and education to APDS and the African/African-American community. His lifelong objective is to provide the highest quality of services possible to the African Community. Dr. Moriba Kelsey was previously employed as an Elementary School Teacher, School Counselor, Ohio State Supervisor of Measurement and Evaluation in Guidance, Counselor, Educator, and Psychologist. He is one of the founders of the African Center for Study and Worship, Co-founder of the Africentric Personal Development Shop, Inc., and one of the founders of the Africentric National Rites of Passage United Kollective. Among his many publications are African Genius Writings, Africentric Rites of Passage, and Worldview Differences in Blacks and Whites. Dr. Kelsey has numerous awards and honors and is a member of the Association of Black Psychologists, National Alliance of Black School Educators, Association for the Study of Classical African Civilizations, Tuskegee University Alumni Association, and the Alpha Phi Alpha Fraternity. APDS programs and services are administered by a strong and qualified team. We are proud of the people who help make our services possible for so many people of Franklin County. The APDS Team includes a clinical and an administration department. Together our staff is made up of motivated and qualified professionals that include counselors who have been certified through the Ohio Professional Chemical Dependency Board. Our Board of Trustees consist of dedicated volunteers who are experts in their field of work.